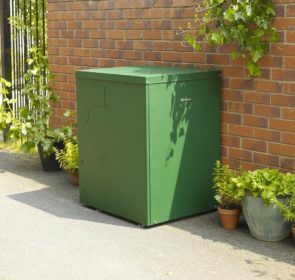 Approximately 4 million households in the UK, or around 16% of all households, are not connected to the gas grid. These properties rely on non-gas fuels such as electricity or oil for heating—for certain homes, oil boilers are the preferred heating source. If you are looking for information on oil boilers, you have come to the right place. Here, you will find information on the costs, mechanics, and advantages of an oil boiler. 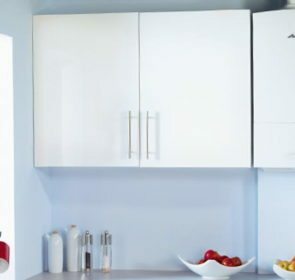 If you need to have an oil boiler fitted, you will need to have a general of prices when shopping around in order to avoid any nasty surprises. Compared to more common gas powered boilers, oil boilers tend to be more expensive. This table displays the average prices of a few oil boilers. Oil boiler prices including VAT will range from £1,133 to £3,700 depending on the model, type, and size. A full central heating system with an oil fired boiler for a 3 bedroom house will cost around £6,115. This calculation uses average oil boiler and central heating system prices. 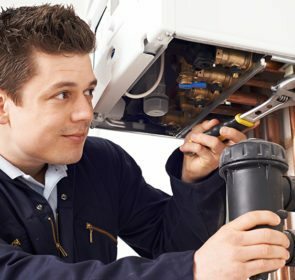 Finding the best boiler for you takes a lot of time, effort, and money. It’s best to contact central heating companies to assess your heating needs and give an accurate estimation. Complete the form, send a quote request to installers in your area, and receive up to 5 offers. The request takes only 1 minute and you are not obligated to accept the offers if you are not satisfied with the quotes. Oil boilers operate in the same way as boilers of other fuel types. The oil is set alight, and a heat exchanger warms up cold water from either your mains pipe or a storage tank. The boiler pumps the hot water through radiators to heat up the room, or to a storage tank if you have a conventional or system boiler. When needed, the hot water moves to your shower and taps of your bathroom. The big difference with other fuel type boilers is that an oil fired boiler requires an oil supply. An external storage tank holds this oil and regular deliveries are necessary. Standard heating oil tanks are able to hold enough to heat a house for 6 to 9 months. 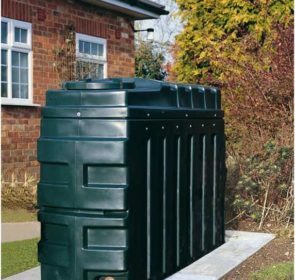 Any tanks larger than 3,500 litres must comply with building regulations and be handled by professionals. Oil boilers also come in the 3 types of combi, conventional, and system boilers. Oil combi boilers have its own hot water storage tank built in, as opposed to the external components required for the conventional and system boilers. Most oil boilers use 28sec oil, known as kerosene, which burns much cleaner compared to 35sec oil. A recent, growing trend is bio-heating oil produced from vegetable oils. However, this type of oil is still very much in the testing phases. If your home does not have a connection to the gas network, oil is one of the most efficient fuels you can use for central heating. Oil boilers are usually very efficient, with ratings of 90% or more. Modern oil condensing boilers recycle waste flue gases, increasing efficiency even more. However, similar to gas, oil is susceptible to price hikes, meaning you could be buying oil when prices are high. Also, you have a limited amount of oil, requiring regular deliveries. This could potentially cause problems if you run out of oil and must wait for a delivery to arrive. Oil boilers tend to have a weaker flow of hot water than a gas combi or cylinder boiler, and the temperature will decrease as you use more water. Below is the running costs for oil boilers, along with those for other common fuel types. Using an average for the UK energy consumption for heating and hot water of 13,500 kWh, the annual running cost of oil is £810. These prices are not set in stone, as your actual expenses depends on your boiler efficiency, the insulation of your home, and the constantly changing fuel prices. Oil, although not as eco-friendly as gas, is more efficient. You will not lose much energy for every unit of oil you consume, offsetting the environmental and economic impacts. If your house does not have a gas connection, an oil boiler might be the solution for your heating needs. The high efficiency of oil boilers will save you money compared to other non-gas central heating systems. Despite this, you should still conduct thorough research on your oil boiler, as it will set you back a few grand. That is why you should compare as many prices, both of oil boiler models and installers, as possible. Use our free, non-binding quote request form and save up to 40% on your oil boiler now!